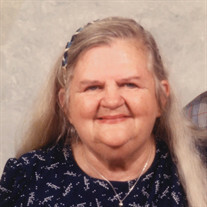 Alice Hannon Emery, 92, of Silver Spring formerly of Glen Burnie passed away peacefully in her sleep on Nov. 17, 2018. Alice was born in Cumberland, MD to the late Thomas F. Hannon and Versa Bell Agnes (Irwin) Hannon. She was one of eight children. While serving as a secretary during WWII, she met Richard Frederick Emery, who was serving in the Navy, and they married on Sept. 5, 1948. Alice followed her husband on his accomplished military career, they traveled extensively and lived in many different states and territories. While being a faithful military wife, she was the loving mother of their five children. The family finally settled in Glen Burnie in 1960. After her children were older, she earned her Bachelor's degree from the University of Maryland College Park in Russian and briefly worked for NSA as a translator. She was an avid card player, but also enjoyed other strategy games. She will be remembered by her family for strength and determination. She was a lifelong learner and possessed a brilliant mind. She was preceded in death by her parents; husband; daughter, Patsy Anne Emery; and 6 sisters. She is survived by her children, Richard (Kate), Daniel, James (Gina), and Patrick (Melissa) Emery; 8 grandchildren; 3 great-grandchildren; and her sister, Kathleen Coriell.